He's got the right stuff! 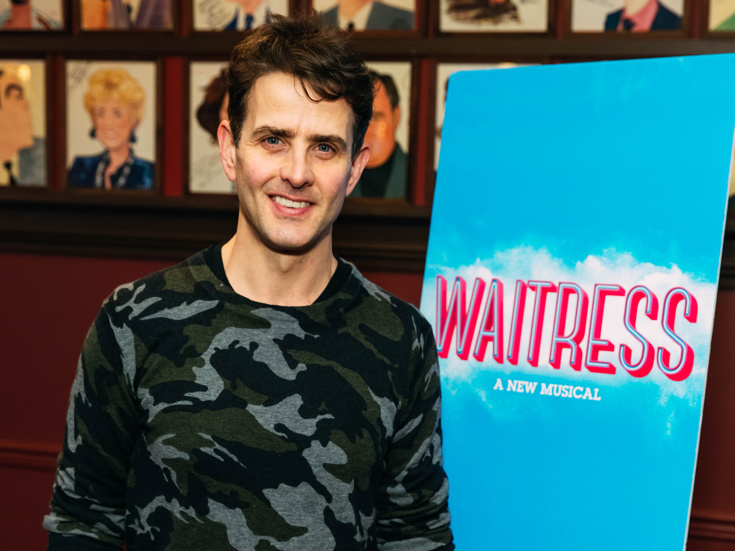 Joey McIntyre, the talented star who rose to fame as part of the '80s boy band New Kids on the Block, returns to Broadway on February 4 as Dr. Pomatter in Waitress. McIntyre replaces Tony winner Gavin Creel, whose run concluded on February 3. McIntyre's stage credits include a Broadway turn as Fiyero in Wicked and an off-Broadway performance as Jonathan in Tick, Tick...BOOM!, a role he reprised on tour. McIntyre is joined onstage at the Brooks Atkinson Theatre by Stephanie Torns as Jenna, Lenne Klingaman as Dawn, Charity Angel Dawson as Becky, Ben Thompson as Earl, Larry Marshall as Old Joe, Benny Elledge as Cal and three-time Tony nominee Christopher Fitzgerald as Ogie. As previously announced, Waitress film star Eddie Jemison will reprise his turn as Ogie on Broadway beginning on February 11. McIntyre will play a limited engagement through April 7.